Club-owned campsites managed by our friendly Holiday Site Managers, offering fantastic facilities and a warm welcome. These sites are great for hassle-free getaways. Members adult price only, additional charges may apply. Find out more about pricing. Our Devizes Club campsite is a lovely quiet and secluded retreat by the side of the Avon and Kennet Canal in the heart of Wiltshire. The surrounding countryside, ideal for walkers and cyclists, is where you’ll find some of the UK’s most significant prehistoric sites including the iconic Stonehenge and Avebury Stone circle. This well-kept, tree-lined campsite provides 115 pitches, some lined by hedging for a private feel. In addition to the amenity blocks, campers can expect a children’s play area and playing field and a large field for dogs. 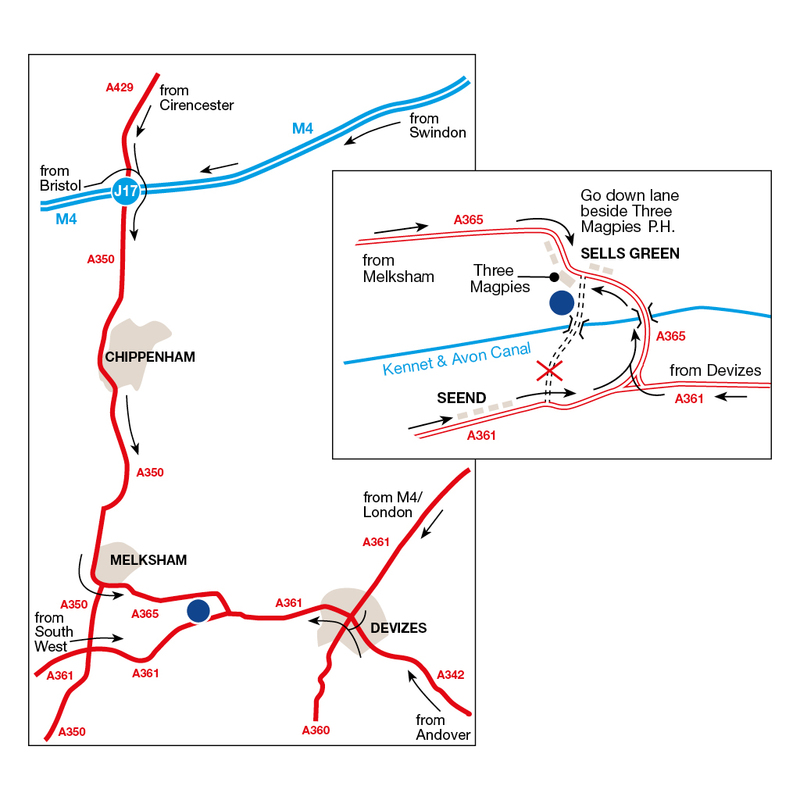 You can walk or cycle into Devizes from the campsite via the spectacular Caen Hill flight of 29 locks or, catch a bus from the stop, a five minute walk from the campsite. Buses also operate to Melksham, Bath and Bristol from here. This bustling historic town has weekly general and collectors' markets. Wadworth's Brewery is here. See its famous shire horses make deliveries in town. Sample the ales at the visitor centre where tours of the brewery and stables can be booked. The Kennet and Avon Canal Trust Museum alongside the canal is where you’ll discover the fascinating story of this delightful waterway. Further afield Longleat and its 900 acres of parkland is a great family day out. This site has a number of great cycle routes nearby. Why not join the Avon Tow Path towards Bradford on Avon, 12 miles away? Alternatively hire a bike in Bradford on Avon to cycle into Bath to enjoy the spa town and all it has to offer. Ready Camp is available at this campsite. (Please note that, although we welcome dogs on this site, in the interest of all guests we do not permit pets to stay within the Ready Camp tents). Fishing is available on the canal, fees payable at reception. Rock pegs needed for hardstanding pitches. 100% coverage cannot be guaranteed due to rural location, weather conditions and changing flora. These can cause variable signal strength. Hotspots are available. More information. Several farmers’ markets are held locally. Padfield’s Porkies sells home-reared pork products. Poulshot Lodge Farm Shop sells its home-reared beef, local pork, lamb and poultry. Rowdey Cow Farm Cafe and Ice Cream Parlour produces home-made ice cream. Are you taking an awning? Please let us know whether you want to take an awning or not. Please include the unit width, plus the width of awnings or sun canopies etc. to ensure the correct size pitch is reserved. Located on the Kennet and Avon Canal, the Caen Hill Locks are a flight of 29 locks between Rowde and Devizes in the Wiltshire countryside. Built in 1885, this Victorian tower brewery in the heart of Devizes is a fascinating tour through the brewing process and history of Wiltshire. Founded in the early 13th Century, Lacock Abbey is a characterful country house in the idyllic village of Lacock. It’s possibly best known for being the filming location for Hogwarts in the Harry Potter franchise. Possibly one of England’s most renowned hill carvings, the Westbury White Horse measures over 30 metres from head to tail. Lying on the side of an Iron Age hill fort, the reason for its creation remains uncertain. Our site is on the edge of the village of Priddy, the highest in the Mendips.